Sealbh House is situated in the rural area of Tomatin, in Strathdearn close to Inverness and enjoys panoramic views of the Cairngorms and the River Findhorn. 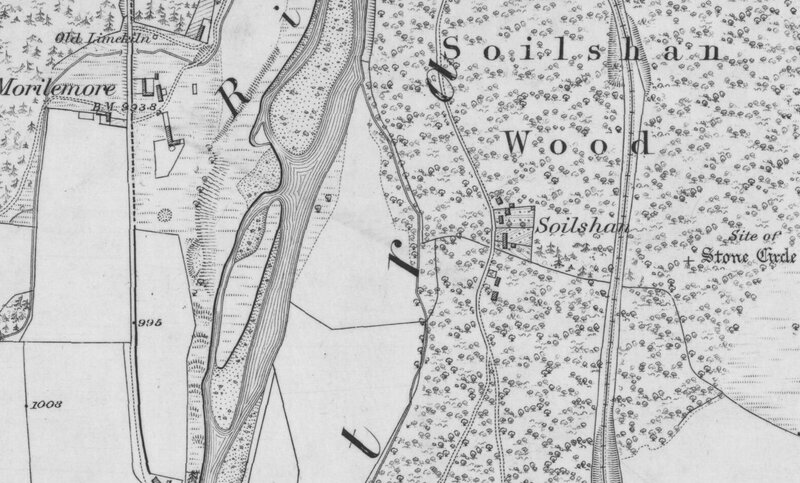 The site is located in the Soilshan wood in the remnants of a small holding, which still contained a workers cottage/bothy. To the East of the site lies the railway line and the A9 road and to the west lies the River Findhorn and the village of Tomatin. 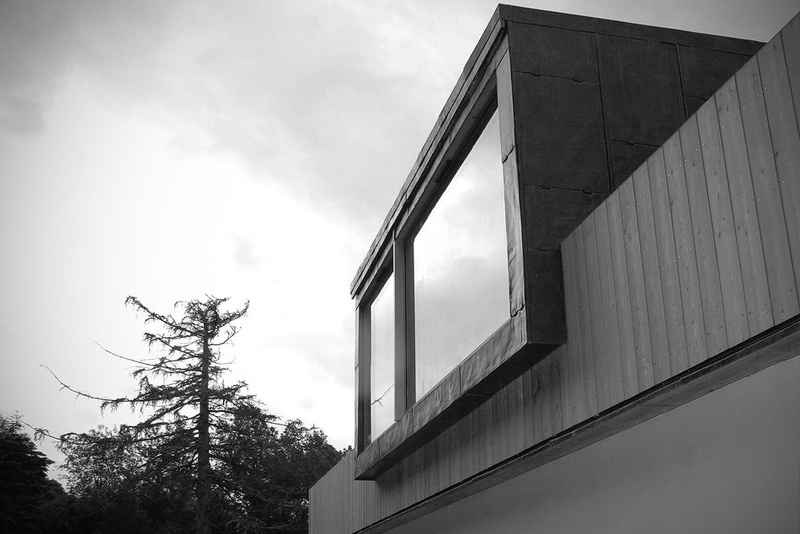 In response to the local vernacular, the building has a narrow plan, allowing light from both aspects. 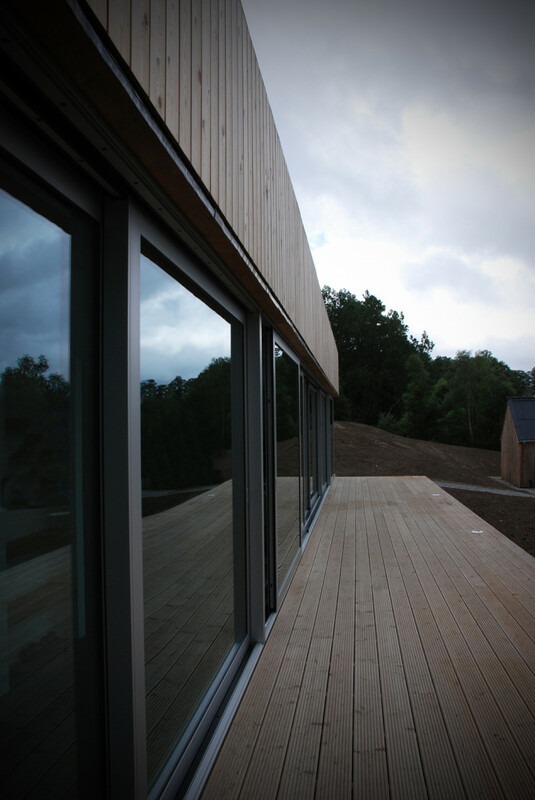 The upper storey of the building over hangs the building and is clad in vertical larch rain screen, from Russwood timber just a few miles down the road. The lower storey is clad in rendered block and forms a buffer between the building and the A9 road that lies to the East. 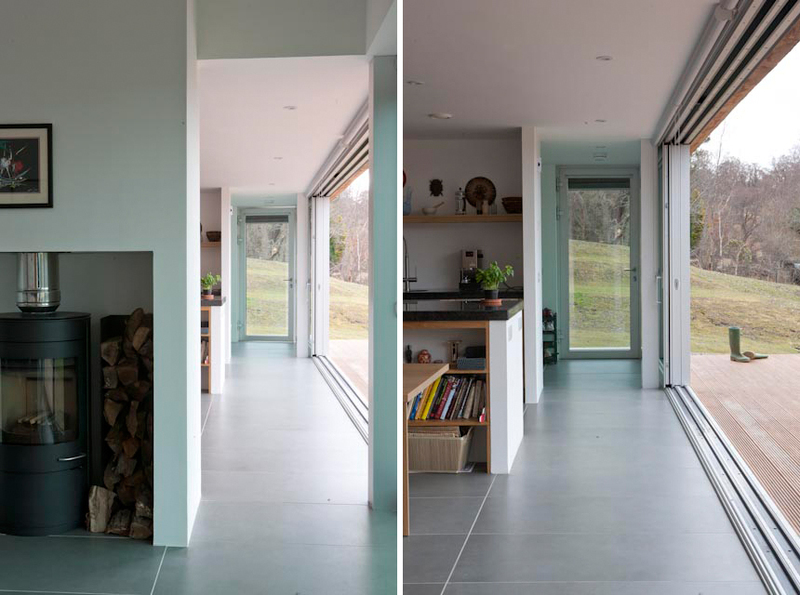 The clients stipulated early on in the process that the kitchen and dining area was to be the hub of the house and reflect their love of cooking and socialising. Expansive windows run the length of the west elevation and wrap around to the North and South, opening up the building to the view and the outdoor environment. 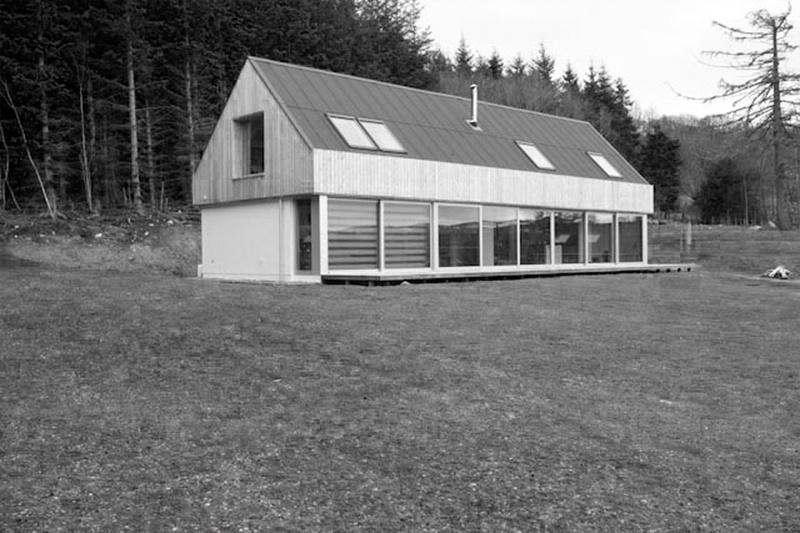 *Project carried out while Principal at Dualchas Building Design.